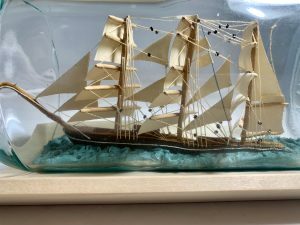 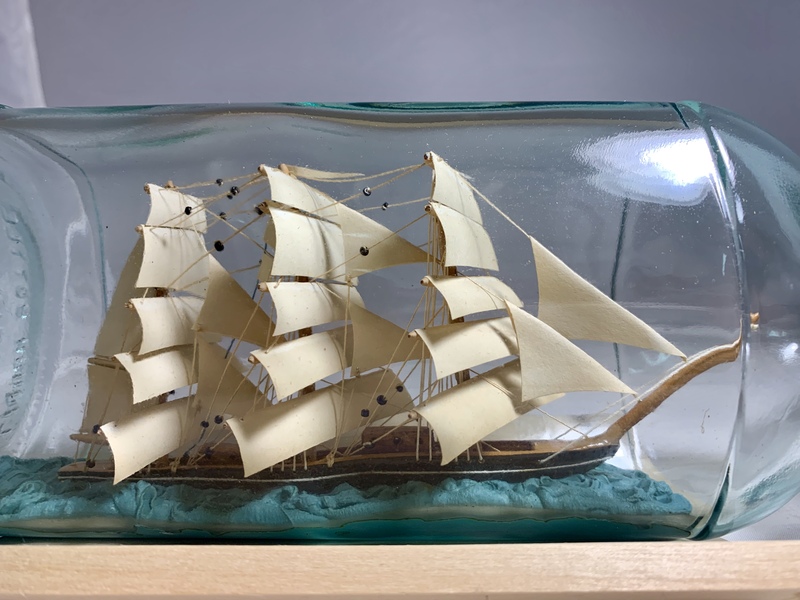 A very nice and very clean three-masted Barque. I found her in England, and the build lives up to most anyone’s expectations. 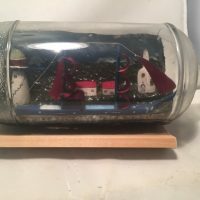 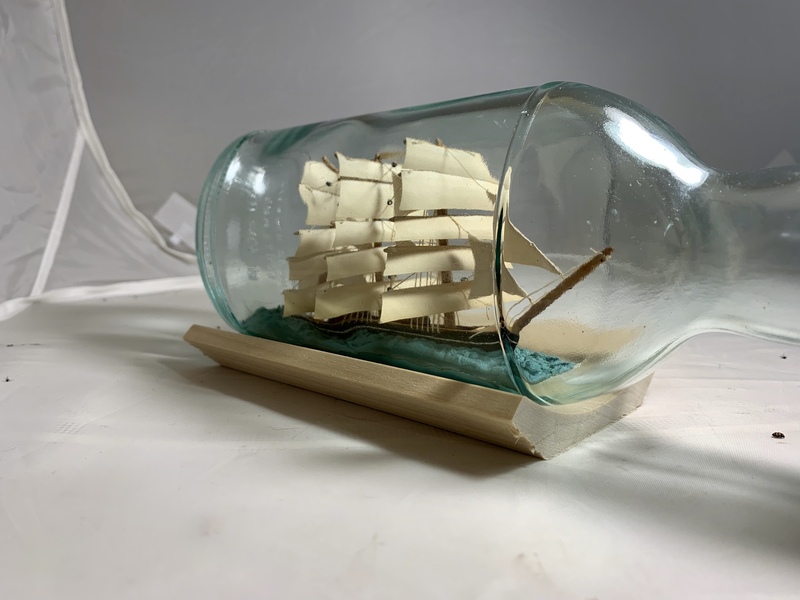 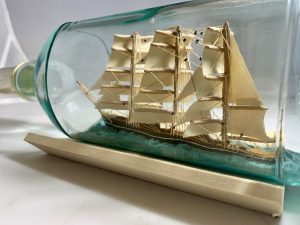 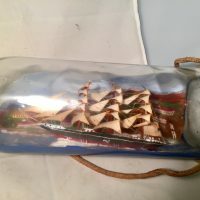 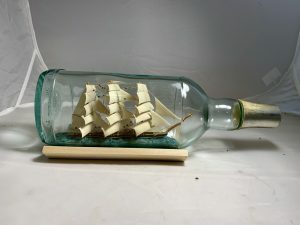 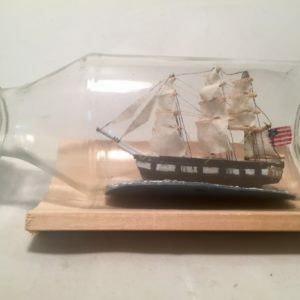 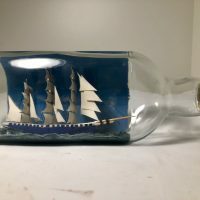 Very nice rigging, A thoughtful build In a 11 inch scotch Bottle.